Learn how to make Apple Cider in the New World style from start to finish. Homemade apple cider is a great way to enjoy the bounty of the harvest! Pick up any commercial cider at any local grocery store and you most likely bought what is known as New World cider. In fact, New World ciders are probably what you think of when you think of cider. They are generally carbonated, sometimes almost champagne-like. They are fruity and aromatic. They have noticeable acidity and are moderately alcoholic between 5 and 8% ABV. Often, New World ciders are sweet to taste. When you make your own homemade apple cider, you can choose to backsweeten or not to suite your own tastes. For a more general discussion about how to make apple cider in the New World Style, and comparison to other styles, click here. Crush the apples. Use a mix of sweet and tannic/bitter apples. Sort out spoiled fruit. The crushed pulp should be sulfited right away. If your fruit is in good condition, add one Campden Tablet per gallon of crushed fruit (65 parts per million SO2). 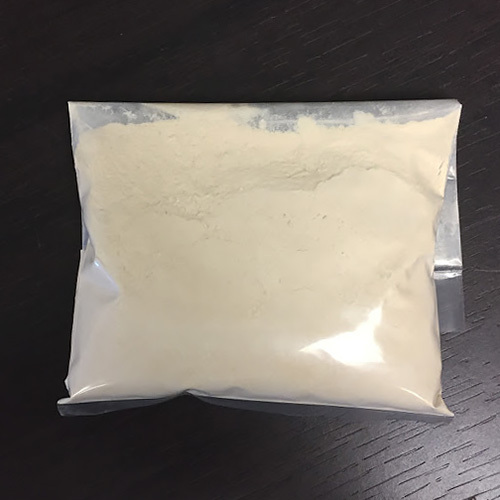 Stir in Pectinase powder. Use 1/2 ounce for every 5 gallons. Wait 2-4 hours before pressing for the pectinase to break down the pulp which increases the amount of juice that can be extracted. It will also aid in clarifying the cider to achieve a clear, bright cider. Press the pulp to separate the juice from the skins and other solids. Funnel the collected juice into narrow-neck containers that can accept an airlock. Only fill them three-quarters full. Remove a sample of the juice to test for total acidity (TA). Follow the instructions in your acid testing kit. If the acidity is less than .65%, add enough tartaric acid to bring it to this level. If you cannot do the test right away, refrigerate the juice and run the test later. Now test the sugar content of the juice with your hydrometer. Correct any deficiencies by adding enough sugar to bring the reading up to 10-13% sugar (10- 13° brix). When these tests and corrections have been completed, wait a total of 8-12 hours after crushing and adding the Campden Tablets for the sulfite to dissipate. Then add your Yeast by sprinkling on the surface. Attach an airlock or breather bung, and allow fermentation to proceed. After a day or two of fermentation, sprinkle in 1 tsp. of Yeast Food. Agitate to disperse. If you can, maintain fermentation temperatures that are on the lower end of the temperature range for the yeast you are using. For example, if the fermentation temperature range of the yeast is 60° - 75°F, using fermentation temperatures around 60° - 62°F will ensure that less aromatics are driven off with the CO2 production. 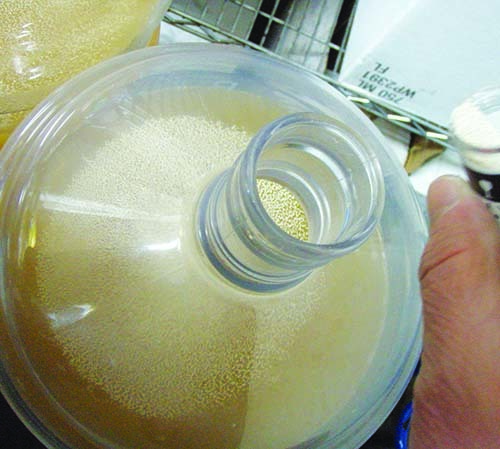 When visible signs of fermentation end - the foam flattens and the hazy appearnce begins to clarify - the cider must be removed from the sediment. Use a siphon to transfer the cider to a sanitized glass, PET plastic or stainless steel storage containers that accept an airlock. Fill your container all the way into the narrow part of the neck without touching the stopper. Close the top with a stopper and airlock. During the racking at the end of fermentation, add 1/2 Campden Tablet per gallon (32 parts per million SO2). Store for two or three months. Carefully rack away from the sediment. If your cider is going into extended bottle storage, add another half Campden Tablet per gallon (32 parts per million SO2). Beverages such as this may often be enjoyed within two months of bottling. If you plan to drink some that soon, don't add additional sulfite to that portion at bottling time. Siphon into bottles, cork or cap them, and set them aside for whatever bottle aging is needed. If you wish to sweeten, add to taste, a syrup made by boiling two parts sugar with one part water, and add 1/2 tsp. Potassium Sorbate per gallon to prevent re-fermentation in the bottles. 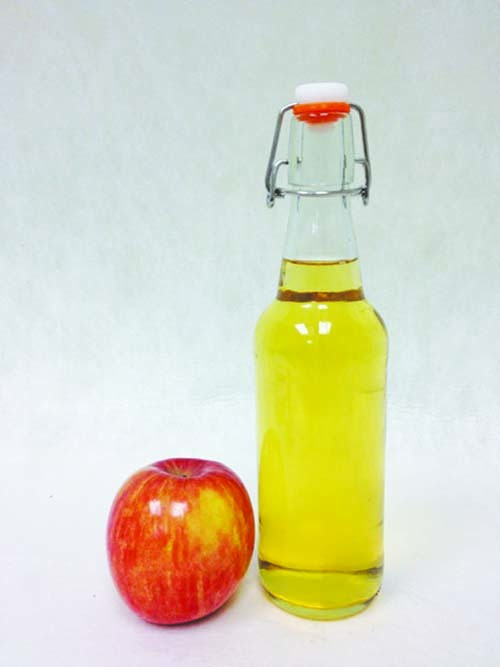 If you are making your cider from purchased juice, or are using your own apples, you are limited to the apple varieties you have. However, if you have options, you may eventually wish to experiment with varieties to create your own flavor profile. Some apples are relatively "neutral" in character. Red Delicious comes immediately to mind, but this class of apples would include such varieties as Baldwin, Cortland, Rome Beauty, and York Imperial. Use 30-50% neutral apples in your blend. "Tart" apples should comprise 20-40% of your blend. These are apples like Granny Smith, Jonathan, Northern Spy, Rhode Island Greening, Wealthy, and Winesap. "Aromatic" varieties, such as Gravenstein, MacIntosh, Pippin, and Roxbury Russet, should comprise 10-20% of the total. An option, should you have them available, would be to include 5 or10% Crabapples in the mix. After you've tasted your first blended cider, you can make adjustments. 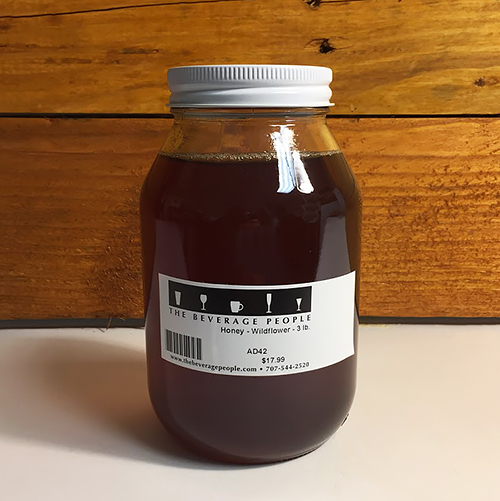 If your first effort is harsh, sweeten and stabilize at bottling time, and reduce the percentage of tart apples in the next batch, so the total acid reading will be lower. If you first cider tastes flat, add a teaspoon of Tannin per five gallons. You can also raise the total acidity, as needed, with a small amount of Tartaric Acid. In this case, you may wish to reduce the percentage of neutral apples in subsequent batches. You may add other fruit or juices to enhance these beverages. For example, a percentage of cherry, blackberry, or raspberry juice can make for interesting variations on the theme. Spices can be employed as well. Ginger, cinnamon, and cloves, are obvious possiblities (either separately or in combination). Boil a small amount of your chosen spice in a cup or so of water for 10 or 15 minutes. Before spicing up the entire batch, test out your idea by adding drops of the spice tea to a few ounces of cider. Add to taste. 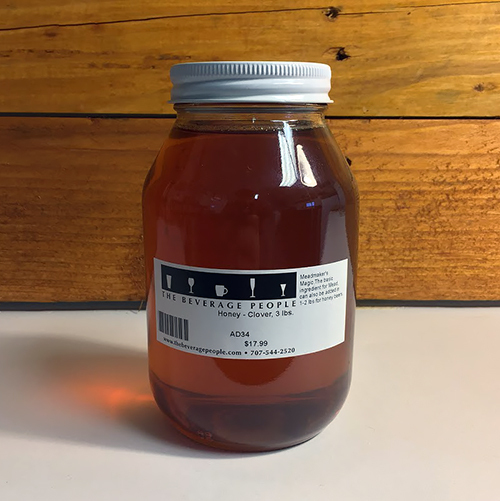 To raise the alcohol of the cider, add sugar prior to fermentation, to raise the sugar content to 17-18%, a customary level for traditional New England Ciders. Small amounts of brown sugar or molasses may be used for part of the sugar. You may make a sparkling cider by adding 6-8 oz. of sugar to 5 gallons of cider and bottling in crown-cappable beer or champagne bottles. Store at room temperature for 2 weeks before refrigerating and opening a bottle. This will allow time for the yeast to consume the added sugar and carbonate the cider. If not fully carbonated after 2 weeks, wait a week and test again. Note: Do not use Potassium Sorbate if making sparkling cider or it won't sparkle! 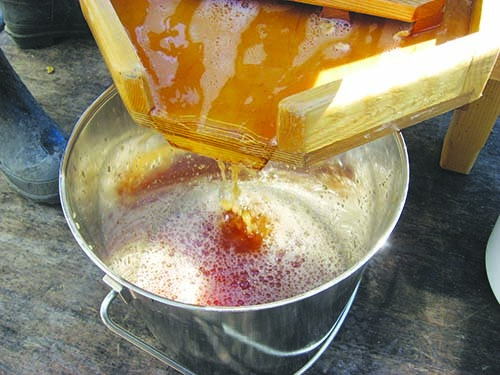 Using Honey to increase the strength of your cider will transform it into a mead known as "Cyser." Some ciders may benefit from a modest period of aging in oak. This is more likely to be true of dry ciders than sweet ones. Oak cubes, sticks or liquid oak essences, may also be used for this purpose.